In a blender, add all the ingredients apart from the berries and blend until smooth. Gently fold in your berries. 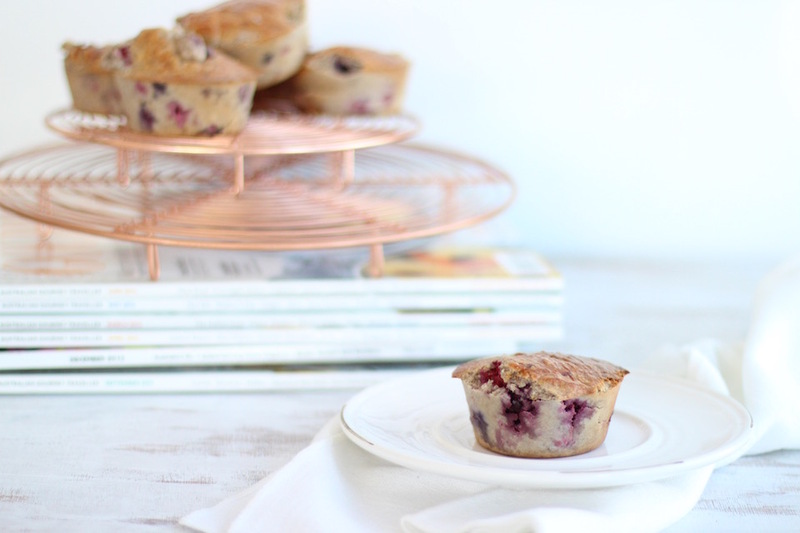 Spoon mixture into a muffin tin sprayed with coconut oil and fill close to the top. Bake for 15 to 20 minutes or until a toothpick inserted comes out clean. Allow to cool then pop them out and enjoy!